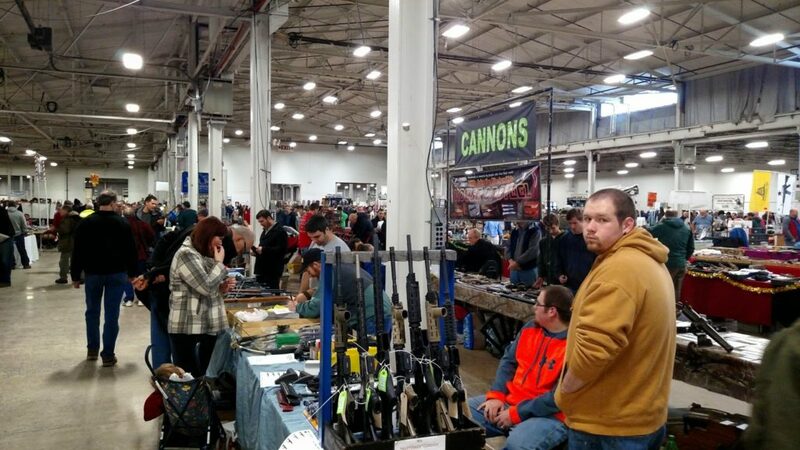 On the Saturday before Christmas, Bryan Miller and I attended the Philadelphia Gun Show in Oaks, PA. Bryan is the executive director of Heeding God’s Call (HGC), a faith-based organization dedicated to gun violence prevention. A major focus of HGC’s work is to attempt to influence gun shop owners to sign a code of conduct, which if enacted can reduce the practice of straw purchasing, a process by which legally purchased guns find their way to the illegal gun market. Illegal guns are almost always guns used in violent crimes committed in communities. 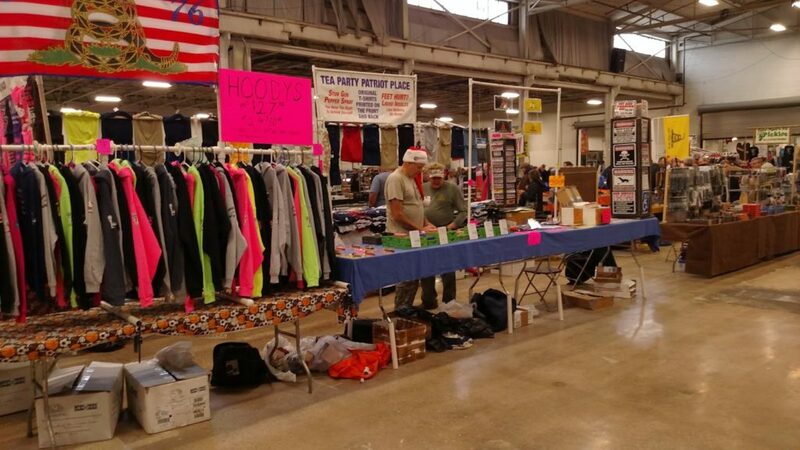 However, we did not attend this particular gun show to call attention to our cause but rather to learn a bit about the gun culture that continually resists any common sense efforts to change laws and adopt policies that would help reduce the presence of illegal guns used in violent crimes in our communities. I asked Bryan to go with me because of his vast knowledge of guns and gun culture from his 20+ years as a leader in the gun violence prevention movement. 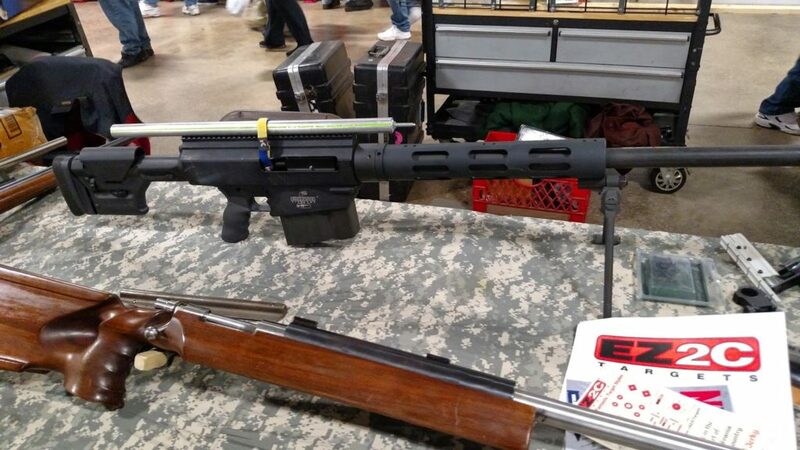 To say the least our experience at the Philadelphia Gun Show was both illuminating and chilling. As we walked into the convention center, we were met by two police officers who were checking to make sure that we were not bringing loaded weapons into the facility. When I said “We have no weapons” one of the officers quipped: “Well make sure you come out with some!” I found this to be a jarring reminder of how deeply guns are embedded in our culture, and a foreshadowing of what was to come. Imagine a building the size of two football fields with long tables running the length of the field. Then picture that on those tables laid side by side are every kind of firearm imaginable: tiny handguns, pistols of all shapes, automatic rifles, double-barreled shotguns, antique rifles and even high powered military style machine guns and rifles. This is what we encountered as we entered the convention hall. Now imagine that the aisles between the tables are jammed with white males from ages 10-75. There were very few women, and most were behind concession tables, and out of the thousands of people we passed while we were there, I only noticed two persons of color. As two middle aged white guys in blue jeans and baseball caps, Bryan and I fit right in. Even so, I felt like I had entered a strange space, where everyone looked like me but spoke and thought in an entirely different language. I understood the words, but they made no sense to me. and could pass the minimal criminal background check. While I did not see or hear anything that was overtly racist, the clientele was at least 95% white males. I can’t imagine that there would too many people of color who would feel comfortable in a setting where there were thousands of white guys with guns.for three weeks . Furthermore, there was nothing I heard or saw that indicated any awareness or empathy for the demonstrations that had been going on since the grand jury non-decisions in the Michael Brown and Eric Garner cases. Moreover, there was a sense in which what we were experiencing was entirely normal for those gathered there, and that any effort to engage folks in a conversation about responsible gun legislation to reduce gun violence would not be tolerated. I kiddingly said told Bryan that we should set up our Heeding God’s Call booth right across from the NRA Recruiting booth. Bryan’s only response was to point out that the location I had indicated was close to the exit, which we would need when we got run out. After about an hour we had taken in all we could stomach and headed home. 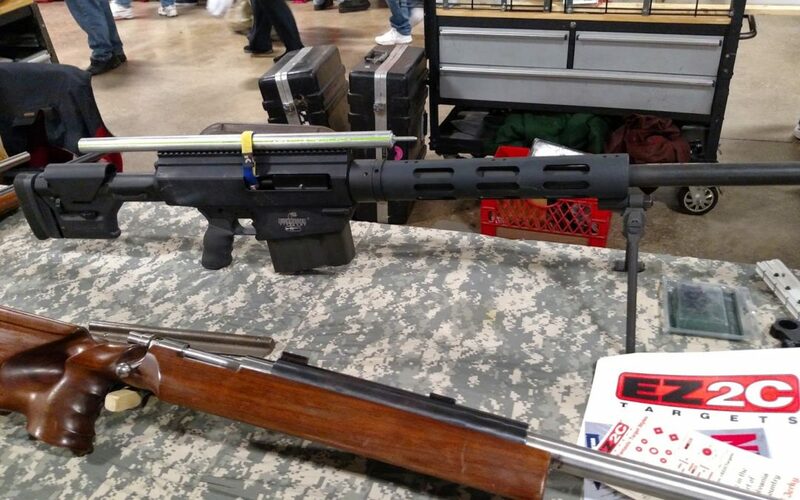 When I expressed interest in visiting a future gun show, Bryan told me I was on my own from then on. I get it; he has suffered the loss of a brother to gun violence and has been the object of voluminous hate mail from pro-gun folks. To even go one time was a personal sacrifice and a gesture of friendship. He has no need to see any more than he has. After dropping Bryan off I thought my gun experience for the day was done, but I was mistaken. That very afternoon two NYPD police officers were murdered by Ismaaiyl Brinsley, who claimed his action was in retaliation for the deaths of Michael Brown and Eric Garner. As I watched the news that evening, I was reminded yet again that no one, not even armed and trained police officers, are immune from gun violence. News commentators and op-ed pieces focused on the connections to the post Ferguson/Garner demonstrations, and conservative commentators such as Fox News sought to place the blame for the murders on NYC mayor Bill DeBlasio, Rev. Al Sharpton, Atty. General Eric Holder and President Obama, even though each of them had repeatedly and consistently condemned any acts of violence during the demonstrations. Yet, no one asked about the gun that was used. It was as if violence and the presence of a gun in the hands of troubled young killer were givens. Two innocent men, who happened to be police officers, died because we as a culture have failed to fully question those givens. A few days later the NY Times reported that the gun in fact was purchased illegally in Atlanta, GA thru a straw purchasing process. Laws regulating the purchase of guns in Georgia are far more lax than in New York, so it makes sense that he would not have gotten the gun in New York. Pro-gun advocates take incidents like this as justification for people becoming more fully armed; i.e. to protect themselves. That logic goes out the window when we remember that the deceased officers were armed and trained. Perhaps we need to reframe the issue and ask why a gun would be so available to commit such a heinous act. 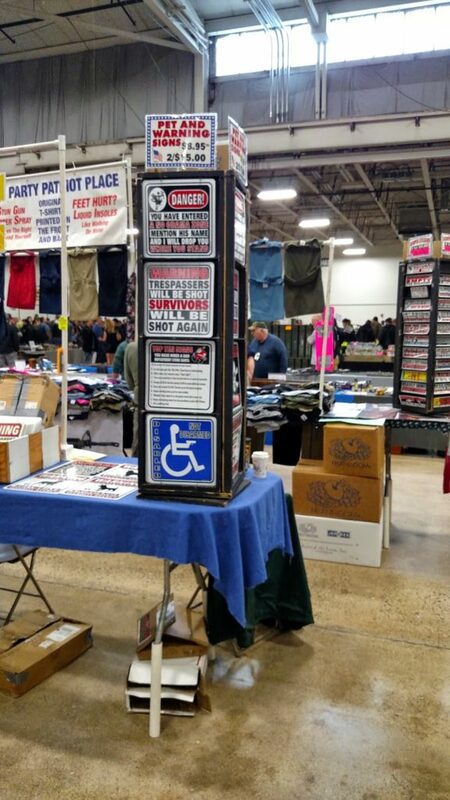 It was an interesting juxtaposition to experience in one day: a gun show celebrating our gun-crazed culture and the deadly reality of that culture’s effect on human life. I have refrained until now from writing about this day partly to allow the funerals of the two officers to take place. However I have also waited because I have been trying to make sense of why we continue to think we can literally shoot our way out of gun violence. Many conservative critics and law enforcement organizations want to pin the blame on the post-Ferguson demonstrations against police brutality (and obviously that played a part in the killer’s mind), but in my mind such discussion deflects attention from the larger cultural mentality we have that the way to resolve tensions is by resorting to violence, especially with firearms. As I have gotten older, I have come to trust my instincts, such that one principle I have adopted is “If something looks crazy, feels crazy, sounds crazy, it is probably crazy.” Our inability as a nation to constructively address our fascination, even addiction, to guns and violence seems crazy to me. 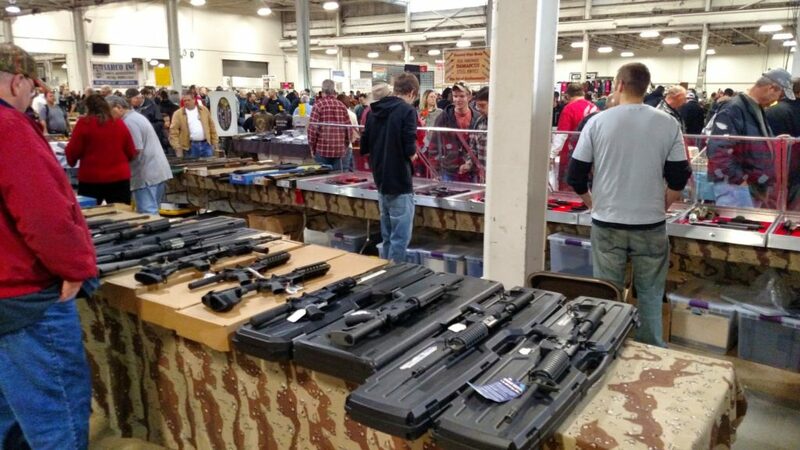 Yet my visit to the gun show soberingly reminds me that there are many people, especially white guys who look like me, who think I’m the crazy one for even considering such things. So I am caused to wonder….Am I crazy or is this whole scenario a little bit too insane?